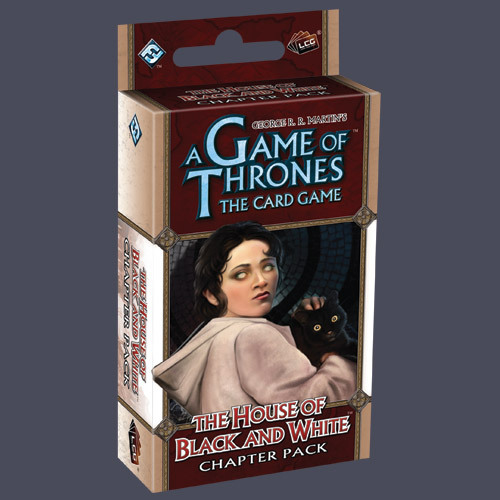 The House of Black and White introduces sixty new cards (three copies each of twenty different cards) that further enrich the Beyond the Narrow Sea cycle and its exploration of the people, places, and events of Essos. Youâ€™ll find deadly new tools to cut through your opponentsâ€™ non-unique minions, a host of high-impact new locations for each House, and an arsenal of Weapons and other attachments. An A Game of Thrones: The Card Game core set is required to play. Contains cards 81-100 of the Beyond the Narrow Sea series.